Chicago City Council has repealed the city’s panhandling ordinance, after three prominent advocacy groups sent letters in August to 15 Illinois cities to warn that panhandling bans are unconstitutional. 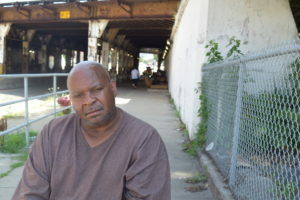 Letters were sent by the Chicago Coalition for the Homeless, American Civil Liberties Union of Illinois, and National Law Center on Homelessness and Poverty as part of a national campaign to reverse discriminatory and unconstitutional laws. In addition to Chicago, letters were delivered August 28 to officials in Aurora, Carbondale, Champaign, Cicero, Danville, Decatur, East St. Louis, Elgin, Joliet, Moline, Oak Park, Peoria, Rockford and Urbana. Chicago City Council quietly repealed its ordinance Nov. 14, notifying advocates two weeks later. The August letters notified targeted communities that since 2015, when the U.S. Supreme Court demanded closer examination of laws that regulate speech based on its content (Reed v. Town of Gilbert), panhandling ordinances were repealed or struck down by the courts in more than 55 cities. The response across Illinois is impressive. In addition to Chicago, Aurora, Oak Park, Peoria, Urbana and Decatur also acted to repeal their regressive panhandling ordinances. Elgin and East St. Louis said they no longer enforce a ban. Cicero and Champaign have said they are examining their ordinances. Carbondale, Danville, Joliet, Moline and Rockford have not responded to the August letter.